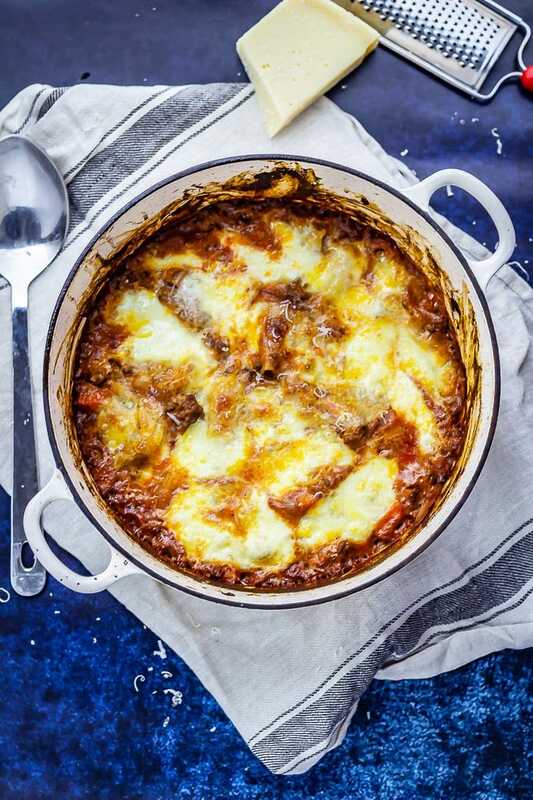 This one pot lasagne is the absolute dream on busy weeknights! 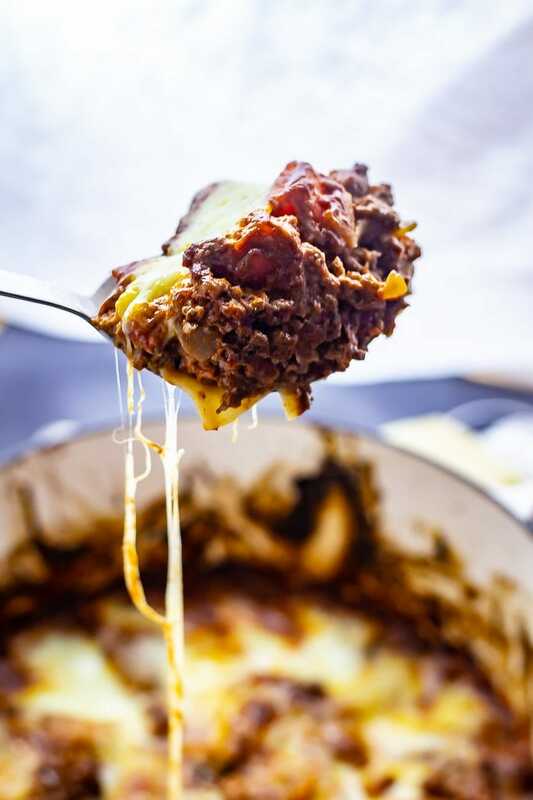 Make a classic lasagne meat sauce and nestle pasta sheets and mozzarella into it before baking to comfort food perfection. Lasagne is one of my favourite foods. I mean, it’s one of everyone’s favourite foods right? 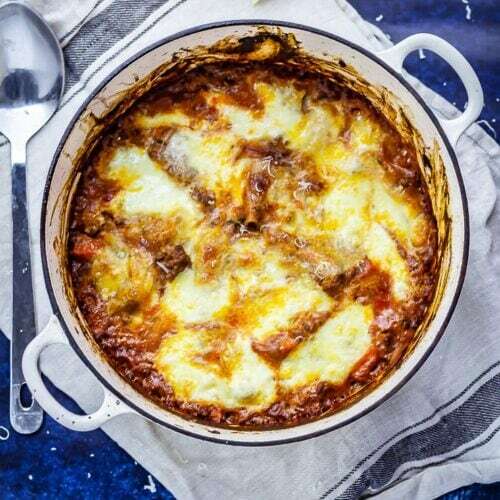 It’s meaty and cheesy and tomatoey and so perfectly comforting. 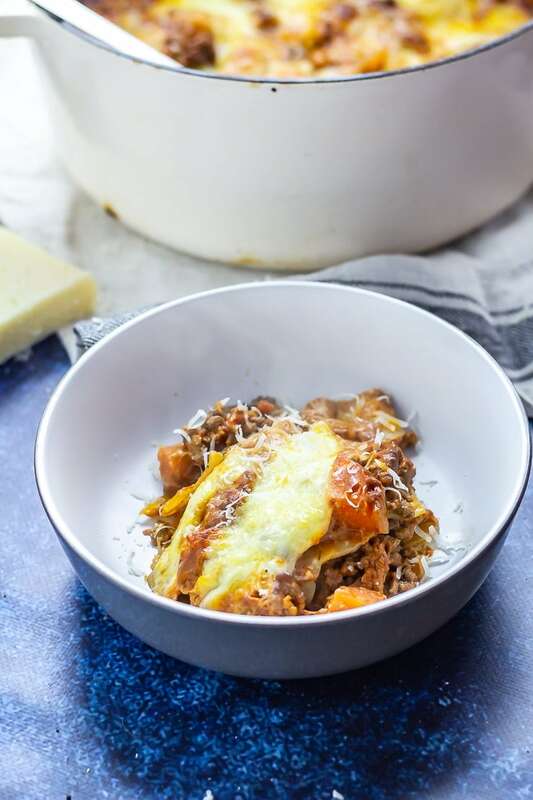 I have a classic beef lasagne recipe which I make when I’ve got a couple of hours to linger over beef and white sauce before baking and I’ve even got one of my all time favourite vegetarian recipes in the shape of a four cheese butternut squash lasagne. And I even have a one pot vegetarian lasagne. 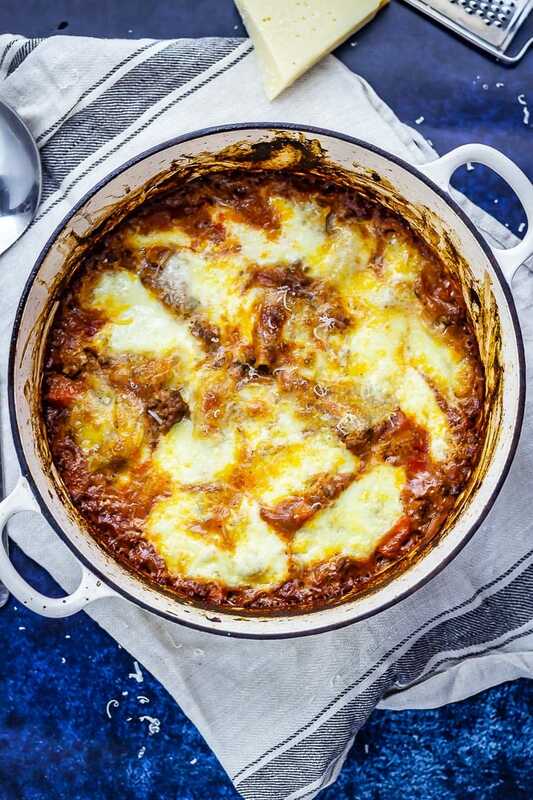 But this one pot lasagne is the one I turn to on nights when I need a classic that’s quick, filling and comforting. I don’t make lasagne very often. Well, correction, I didn’t make lasagne very often before I started making this one pot lasagne. I love it so much but it’s such a faff to make each individual element separately, making sure each one is perfect before layering them all up and then you still need to bake it until it’s oozy and gooey and crunchy on all corners. On weeknights I need simple and quick but you also know that I love anything super cheesy and comforting. Speaking of busy weeknights I’m fortunately missing out on that joy this week because I’m away with my family for some super super chill time. We arrived on Friday and we’re staying until the end of the week and we’re staying near the beach in Norfolk and doing very little of anything which is exactly what I needed. 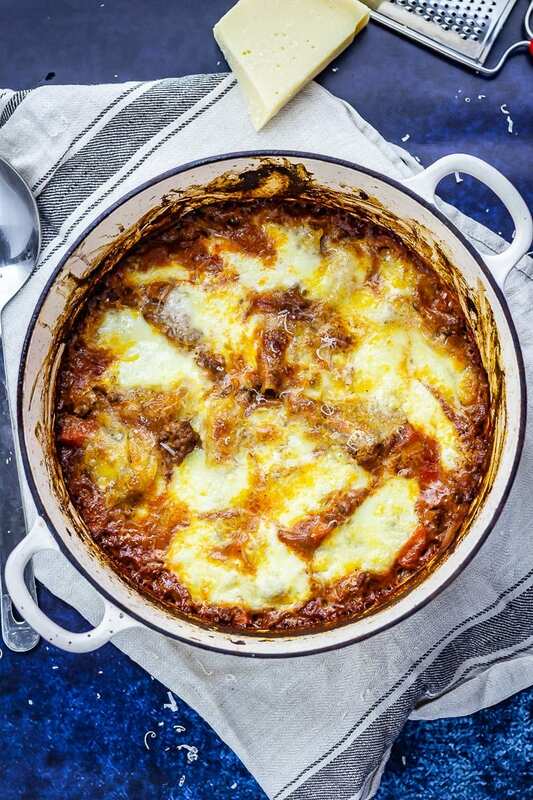 Anyway, my plan for 27 is to eat many delicious meals starting with this one pot lasagne. 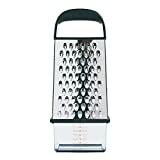 Parmesan – For that added cheesiness at the end! 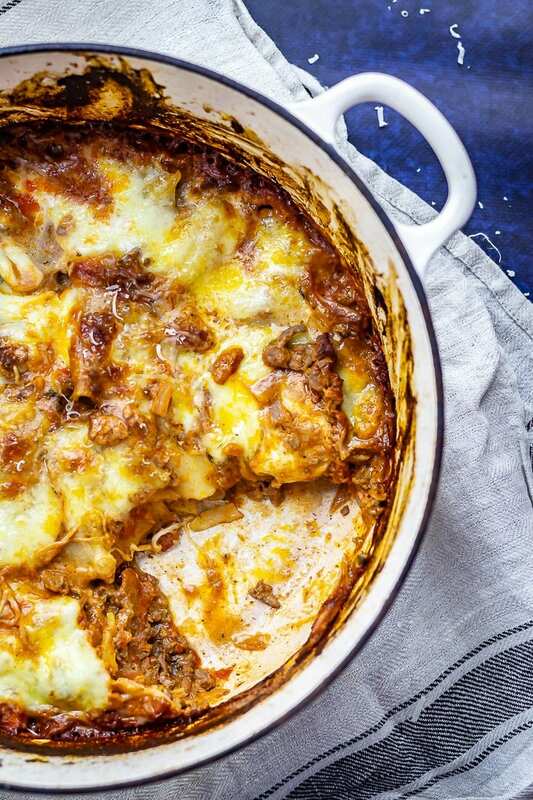 This lasagne also makes amazing leftovers. Portion it out into containers and you’ve got lunches for a few days as well. And it freezes amazingly well, possibly tastes even better. Seriously. Preheat your oven then heat your oil in a big pot and add onion then carrot. Add the beef mince and cook until all the pink is gone and then add your liquids and chopped tomatoes along with seasonings. Cook for about 10 minutes until the sauce has thickened then stir through the cream cheese. 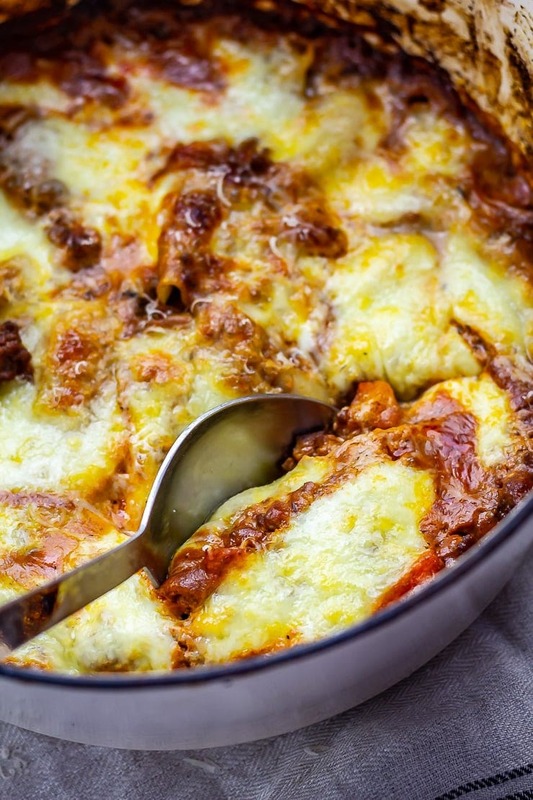 Break up the lasagne sheets then nestle them into the sauce and top with slices of mozzarella. Bake for about 35 minutes and serve. 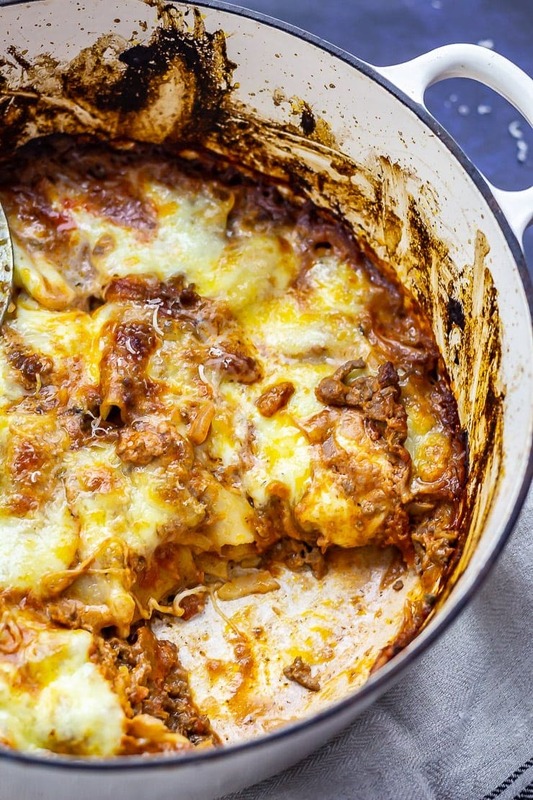 This one pot lasagne is the dream on busy weeknights! 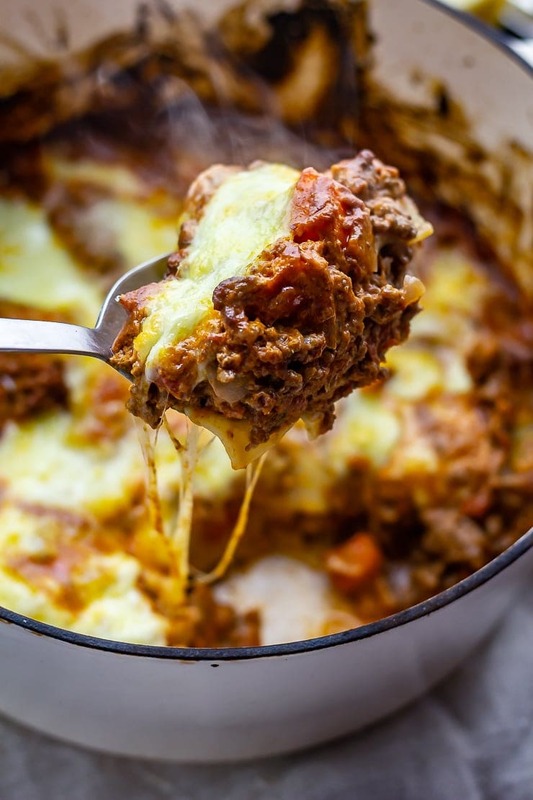 Make a classic lasagne meat sauce & nestle pasta sheets and mozzarella in before baking to perfection. Heat the oven to 180°C/350°F. 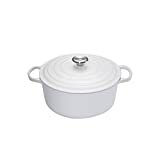 Heat your olive oil in a large oven safe pot. Add the chopped onion to the pot and cook until translucent then add the garlic and carrot and cook for a couple more minutes. Add the beef mince and cook until no longer pink then pour over the red wine, chopped tomatoes and stock then add the oregano and garlic powder and bring to a simmer. Cook for 10-15 minutes until the sauce has thickened. While the sauce is cooking break up the lasagne sheets into 2 or 3 pieces. When the sauce has finished cooking add the cream cheese and stir through until melted. Remove from the heat. Carefully place the lasagne pieces into the sauce, getting all the pieces fully submerged. Spread the mozzarella out across the top of the sauce and place in the oven for 25 minutes, turn the heat up to 230°C/450°F and cook for another 10 minutes to brown the cheese. Leave to stand for a couple of minutes then serve topped with parmesan. Hello. I really want to make this, but do I bake the lasagne in the oven covered or uncovered? The recipe doesn’t say – well, it doesn’t mention it, so I’m assuming uncovered, but I’d like to be sure. Thanks. Hi Andrew, sorry not to have made that clearer! I bake uncovered 🙂 Hope you enjoy the recipe! This lasagna looks so hearty and delicious — I would never have thought to use cream cheese, but I’ll bet that takes it over the top! I’m going to make this vegetarian-friendly by adding mushrooms instead of beef but it looks so delicious!this would be perfect for me to last for my busy weekend I work 12-hour shifts weekends only so this recipe is right on time! I don’t know any family that wouldnt welcome this easy meal on their tables . We will be over the moon to eat this delicious pasta treat and all in one pan ? BONUS! One pot meals rock, right? 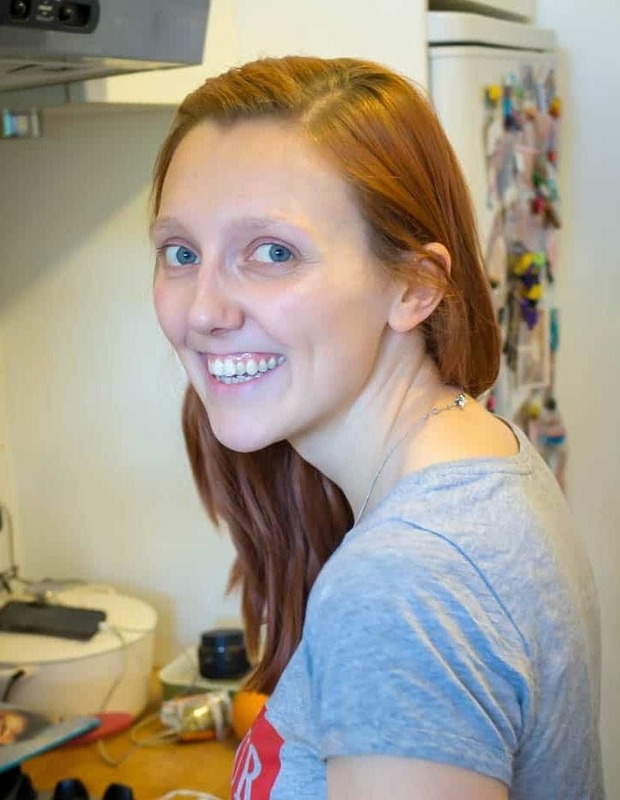 I had lasagna last week but your pics make me wanna cook it again :)! Haha, the more cheese the better in my book!